With the growth of internet, there is a change in the way one works, socializes, creates, and shares information. As the global user internet penetration continues to grow, there is a rising need for servers all over the world. “We have to keep up with emerging markets who are noticing the need to have their data accessible faster,” says Manny Vivar, VP of Global Operations of HostDime. “We are addressing these issues by continuing a very strong global footprint of owned facilities where we provide server ‘bare-metal’ hardware products which power the cloud.” Founded in 2001, HostDime is a privately owned and operated global data center provider. HostDime offers managed cloud-hosting services with fully supported amenities and web tools that empower global users to do more on the cloud at an affordable cost. According to Vivar, Global localization will continue to impact the server technology space so the company continues to ensure all their global locations can service the latest hardware. “We are seeing a big demand for country fail over sites. Since we operate facilities globally this allows this product to evolve naturally for us,” says Vivar. HostDime’s humble beginnings with only one server molded the company’s principles: To service its clients at the highest level possible and accept nothing less. “HostDime delivers a large array of managed cloud hosting products above industry standards and we help every step of the way,” adds Vivar. The company caters to the various clients’ needs that range from simple website hosting which can be serviced by VPS servers housed on bare-metal hardware to high availability cloud elastic product to company/ client provided hardware colocation product. 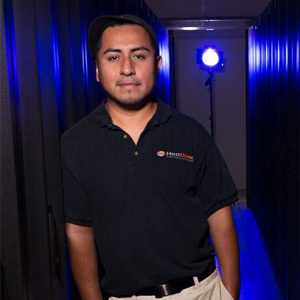 “Our array of services allows the client to work with us as a data center infrastructure provider and use the product they fit best into,” asserts Vivar. In 2003, HostDime opened its first data center in Orlando, Florida after growing from one server to over 200. The passion and vision for excellence prompted the founding HostDime engineers to design a facility, which provides the highest levels of uptime and service to clients. Once the facility was completed, HostDime succeeded in transferring all servers from a prior third party data center to its very own facility in Florida. Managed Dedicated Servers, Managed VPS hosting, and Colocation services were added to the product line. “The company’s main advantage is their high level of managed services and their global data center footprint,” adds Vivar. An example illustrating the company’s solutions is a client in Russia that runs a game app was facing issues servicing their users in Mexico and Brazil. The client approached the company to provide bare-metal servers in order to deploy his application locally that resulted in the clients latency issues becoming obsolete after activating the application. Through various partnerships and alliances with leading enterprises dealing in the world of software, hardware, and bandwidth networks, HostDime has evolved into an excellent data center operator. Trend in technology is always what is newer and faster. “With the price of SSD’s continuing to drop we are taking advantage of this by defaulting most servers; we deploy now with SSD’s and the newest and latest Xeon processors,” says Vivar. “For the days ahead we will continue to expand our global foot print. We are going to be building our second facility in Brazil in Sao Paulo and then build our own facility in India in 2017,” concludes Vivar.